The first couple nights with the new coop I had to round up the girls and put them in the coop area. This was kinda traumatic for them. They say you should keep them locked in the coop area for several weeks so they get the idea, this is my home, I want to be here at night. 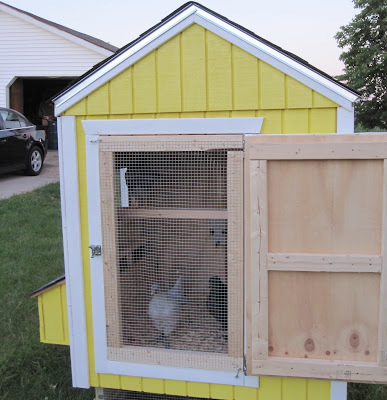 I really didn't want to keep them locked in the coop area because its so hot during the day, but I needed them to get the idea that the coop is where they want to be at night. So I built a removable screen door so they have lots of ventilation. 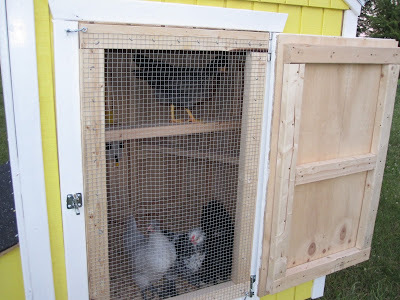 They have been just in the coop area for 6 days now. All of them have used the roost at night now. 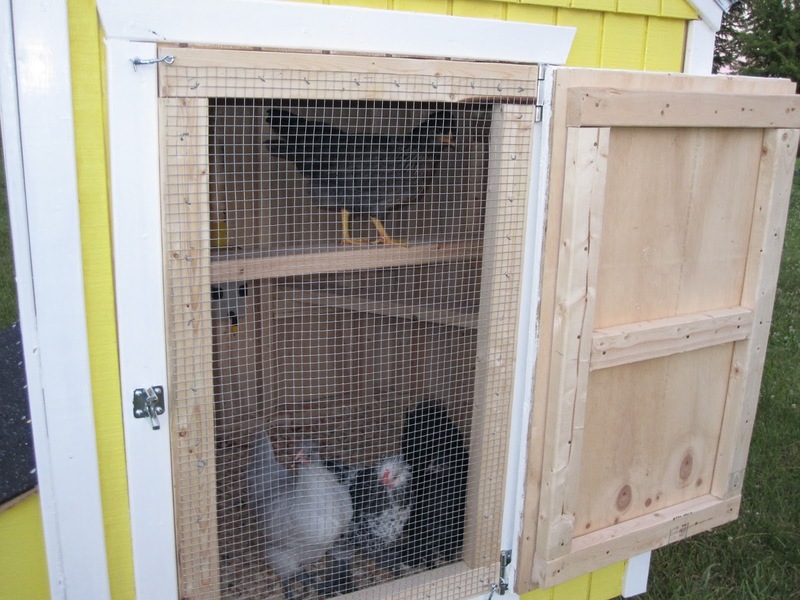 Queen Ann has used the roost every night, the other three girls would huddle on the ground the first few nights. Two nights ago Lillian and Queen Ann used the tallest roost and Lucille was on the lower one. Last night those three girls were all on the tall roost, so I gave Laverne a little help getting on there with them. I think in a couple days I can let them back out into the run area during the day. 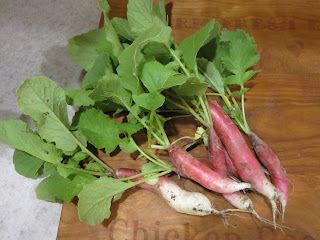 These are some radishes I picked out of my garden a few days ago! The garden, unfortunately, is mostly weeds but I'm trying to not let it beat me!